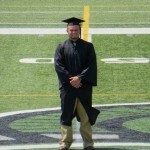 The Vermont State Colleges Board of Trustees recently named Castleton’s Athletic Training Program Director Reese Boucher as the VSC Faculty Fellow for the 2019-20 academic year. We are no longer accepting applications to this program. Please see our new B.S. 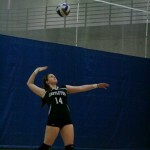 in Kinesiology/Pre-AT + Master of Athletic Training 3+2 Program. Athletic trainers (ATs) are highly qualified, multi-skilled health care professionals who collaborate with physicians to provide preventative services, emergency care, clinical diagnosis, therapeutic intervention and rehabilitation of injuries and medical conditions. According to the U.S. Bureau of Labor Statistics, employment of ATs is projected to grow 21% from 2012 to 2022, far faster than the average for all occupations. 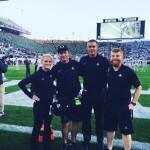 Traditional job settings for athletic trainers include professional sports teams as well as colleges, universities, and secondary schools. Emerging settings include hospitals, rehabilitation centers, the military, occupational health centers, the performing arts, physicians’ offices, and public safety settings. To become an athletic trainer one must graduate from a program that is accredited by the Commission on Accreditation of Athletic Training Education (CAATE). The current minimum entry point into the profession of athletic training is the bachelor’s degree. However, the CAATE recently decreed that in the future the minimum professional degree will be a master’s degree. 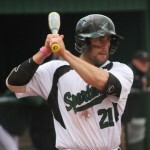 Fortunately, Castleton University is now offering a 3+2 Bachelor of Science in Kinesiology and Master of Athletic Training degree. NOTE- the BS in Kinesiology/Pre-AT is currently underway, and the MAT program will begin in 2020. 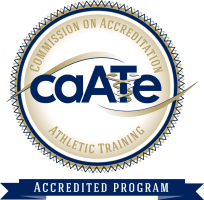 The Commission on Accreditation of Athletic Training Education (CAATE) accredits the undergraduate Athletic Training Program at Castleton University. The program is currently applying to the CAATE for a change in level of degree. The current Bachelor of Science in Athletic Training is being phased out and replaced with a Bachelor of Science in Kinesiology / Pre-Athletic Training. Students in this program will apply to the Master of Athletic Training (MAT) program during their 3rd year, and begin the 2-year MAT program during their fourth year. Thus, 2020 will be the first year of the MAT program. This 3+2 program will allow students to complete the entire bachelor and master degree program in five years (instead of the usual six), and be eligible to take the Board of Certification Examination (BOC) upon program completion. "The second I stepped on campus, it felt like home." 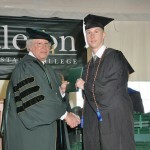 "Castleton had a major influence on where I am today." “I'm proud to be part of a school that has produced so much success." 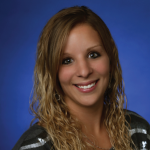 “Castleton shaped me into the hard working, dedicated professional I am today." "The faculty really helped to encourage me to become a critical thinker and to continue to be an active learner, even after graduation." “Castleton’s Athletic Training program offers students the knowledge and skills required for becoming a certified athletic trainer." 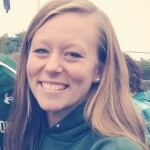 “Castleton has a great alumni network that has allowed me to connect with people all over the country."